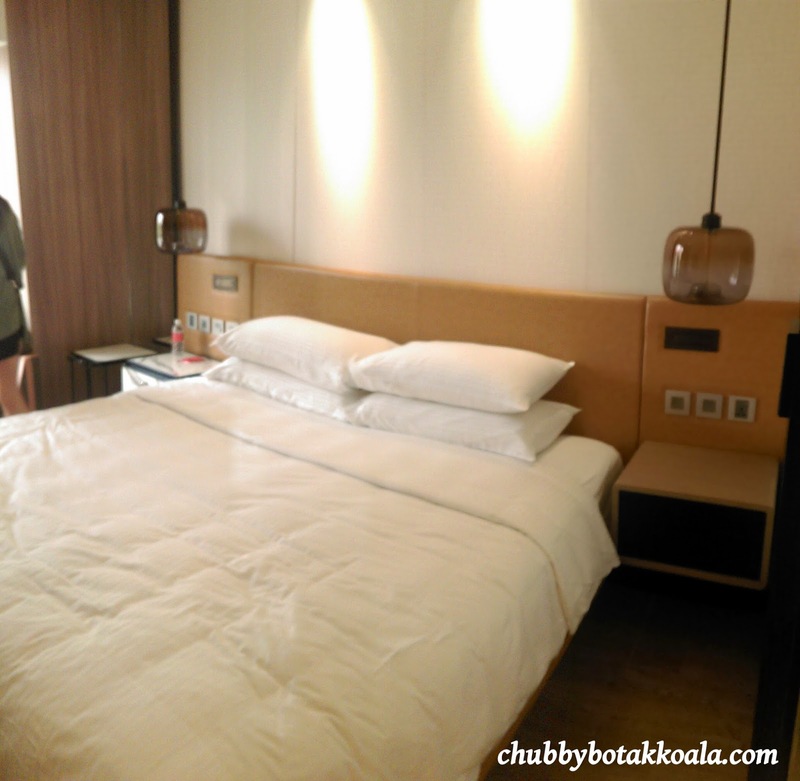 Chubby Botak Koala - Singapore Food Blog, Travel and Lifestyle: Hotel Jen Singapore - Hello JEN!!! Hotel Jen Singapore - Hello JEN!!! Hello JEN!! or to be precise, Hello Hotel Jen!!! It is official!! Traders Hotel Cuscaden Road is officially known as Hotel Jen Singapore on 25th September 2014. This rebranding exercise, are the steps taken by Shangri-La International Hotel Management Ltd to adapt to today 'millennially minded' travellers. In many ways, this rebranding is Shangri-La ways to embrace the demands of more independently-minded travellers, who preferred simple pleasure, efficiencies and experiencing the local culture. While the physical renovations will only commence in November 2014, the service transformation has begun immediately. An informed and friendly service staff, will attend to the guests queries with their unique recommendations so they can tailor their Singapore experience according to their preferences. Check out the mock-up room photos below. To cater for the 'Millennial” travellers, Hotel Jen also provide seamless WiFi connectivity everywhere around the hotel, mobile charging stations for “Wall Huggers” like us. Hotel Jen will also provide laundry wash and fold service at one price for unlimited items in the laundry bag, a PressReader app, free coffee (Nespresso) and snack-box-to-go options after breakfast just to name a few of the many features on offer. (Please note that some in-room features might differ until full renovation has been completed). Cheers & Have Fun with JEN!! !